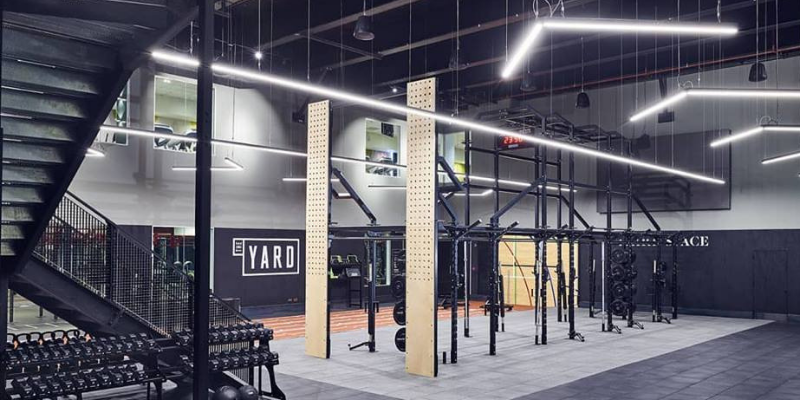 LONDON, United Kingdom — Premium gym operator Third Space is expanding its portfolio with the launch of ‘The Yard’, London’s largest functional training space, as the style of exercise made popular by brands including CrossFit and F45 continues to rise in popularity. Located in its Canary Wharf club, the latest innovation from the London-based operator features state-of-the-facilities and a range of new classes. The 7,250 sq ft training playground houses dedicated workout areas for cross-training, athletics, combat and personal training, as well as specialist equipment. According to the fitness operator, over the past few years, it has seen a growing trend for more flexible training space, rather than fixed areas, with its Rig and Athletic class programmes rising in attendance by over 30% in the last two years. 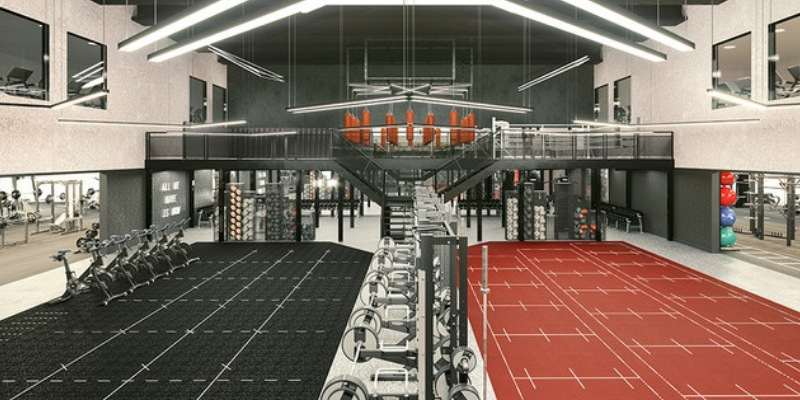 This, coupled with demand from members for more open spaces for functional training, led the brand to re-design its basketball hall and create a new space to satisfy customer needs. Designed and programmed to cater for members of all abilities; from elite-level athletes through to complete beginners, The Yard’s cross-training area is also equipped to offer cardio, gymnastics and weight-lifting. Equipment for strongman-style training and weight-lifting includes a variety of free weights, plates, log press, step box, sleds and wall balls. Cardio equipment spans treadmills, Concept2 rowing machines and Airdyne bikes for intense workouts. A fully-equipped central rig boasts multi-functional bars, ropes, rings and a climbing pegboard, while a handstand wall caters for advanced gymnastics. As well as a separate area for small group and personal training, with its own set of equipment, Technogym SKILLMILL and My Zone screen, for those looking to add a different dimension to their training, including strength endurance, they’ll be able to work out with best in class strongman equipment. “The variety that these spaces accommodate make The Yard the perfect environment to build strength and new skills,” commented Lauren Wilson, Marketing Director at Third Space. “Our rig and athletic programmes are our most successful and The Yard gives us more space to innovate in these categories,” she added. In addition to introducing a range of new classes, exclusive to Third Space Canary Wharf, led by the club’s trainers and inspired from concepts that are at the core of Third Space’s offering, The Yard will also host one-of-a-kind masterclasses and team workouts to challenge its members. These class concepts will enable the fitness operator to better compete with functional boutique offerings from brands such as F45, which, as the world’s fastest-growing functional training network, currently operates more than 40 studios in the UK, alone. And is reported to be valued at over US$300m. At over 100,000 square feet set across three floors of world-class training space, Third Space Canary Wharf is Europe’s largest luxury health club, offering state-of-the-art training facilities and running more than 200 classes per week. However, it is hoped that the introduction of The Yard will broaden the luxury health club’s offering, demonstrating its continued commitment to providing exceptional clubs suited to every workout and ambition. “We’ve seen increased engagement in our membership over the years and this looks set to continue with members using the clubs more frequently,” commented Wilson. The Yard has been designed to cater to this growing desire for a more holistic approach to health and wellness, and continue to position the Third Space brand at the forefront of the capital’s fitness industry.